One in 10 Americans has a hearing loss that affects his or her ability to understand normal speech. Age-related hearing loss (or presbycusis) is the most common cause of this condition and is more prevalent than hearing loss caused by excessive noise exposure. However, exposure to excessive noise can damage hearing, and it is important to understand the effects of this kind of noise, particularly because such exposure is avoidable. Noise can damage hearing because it produces varying degrees of vibration which increase with the intensity of sound. Hair cells that act as the sensory receptors for sound, found in the inner ear, can be injured resulting in the loss of the ear’s ability to detect noise. The damage done by noise to the inner ear is like an earthquake—while sound is measured in decibels and earthquakes are measured on a Richter scale, the higher the measurement, the higher the likelihood of damage, especially if the infrastructure is not perfect to start. So the louder the noise, the longer the exposure, the more frequent the exposure and the presence of earlier damage all increase the risk. If you can’t hear the person next to you because of another noise, it is possible that the noise is loud enough to cause damage. Furthermore, if a noise has caused your ears to ring, it has caused damage which may not be permanent but can be cumulative. This sort of temporary injury can lead to permanent hearing loss. Your ears can be safeguarded in noisy environments by hearing protection including earplugs for noise (as opposed to for water) or earmuffs. Hearing protection is recommended in the presence of power tools, noisy yard equipment, or while using firearms professionally or recreationally. In certain work environments, hearing protection is required by workplace safety regulations (OSHA, the Occupational Safety and Health Administration). These afford varying levels of protection. Not all are adequate for all levels of noise and are usually able to permit less dangerous sound with lower levels of vibration to be heard. By the same token, not every thing you place in your ear is protective. The best example is the use of ear buds with the sound level turned too high. We are expecting to see greater levels of hearing loss in populations exposed early to earbuds. 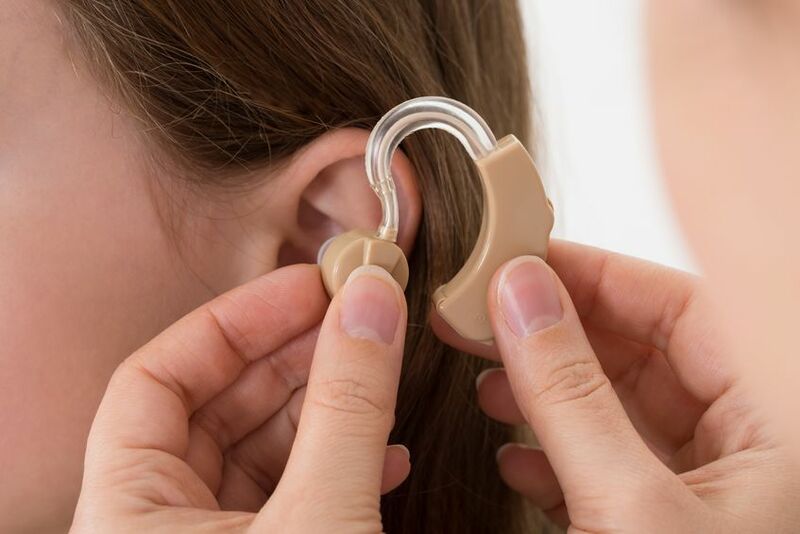 Regardless of the cause, most hearing loss is gradual in onset and may be first recognized by associated noise (ringing, buzzing, chirping or other phantom sounds) in one or both ears. Others notice what feels like a difference in pressure, either increased or decreased, in their ears. While pressure sensations like Ear Fullness can be caused by problems with the Eustachian Tube or from middle ear fluid or infection, it can also be due just to hearing loss. Your hearing is actually a function of pressure so that a change in your hearing may actually be sensed as a change in pressure. Others may just have difficulty in certain situations like restaurants or believe that everyone else is mumbling. These complaints are common with high pitched hearing loss. Hearing loss, generally regardless of the cause or the symptoms, is determined by a hearing test.